Our R&D center, based on scientific brand Macroocean Lab, located in Suzhou Industrial Park. 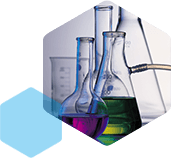 It is committed to basic scientific research, development of new products, innovation of industrial technology, and application research according to market demands. We aim to expand our commercial field by innovative research and development. Macroocean Lab is located in Suzhou Institute for Advanced Study of USTC, which owns unique scientific atmosphere and research resources. The laboratory, nearly 1,000 m², has built high-performance polymer research platform, functional adhesive binder technology platform. And it has been awarded Suzhou Functional High-polymer Material Industrial Technology Research Center. Macroocean Lab takes measures to attract outstanding talents and attaches importance to the talent training. By now, R&D center members are all graduated from key universities. In Macroocean, we put our effort to create a relaxing and rigorous atmosphere, provide a platform of collaboration and self-realization for our R&D members. Not only continuously improving our research team, we are also cooperating with domestic first-class universities such as USTC. With great support of Suzhou Industrial Park, USTC and other Key universities in Dushu Lake Science and Education Innovation District provide us various public research platforms and resources. With the expansion of Macroocean Lab, we plan to built an independent and more advanced research center and gradually develop our center to the international leading level. We aim at creating a world-wide famous research and innovation brand. 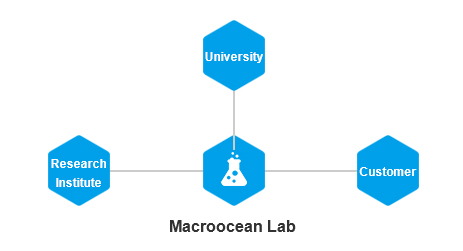 Industry-university-research development system, combining “Science into Technology” and “Technology into Industry”, is one big feature of Macroocean Lab. To make successful operation of industry-university-research is one core competitiveness of Macroocean. Our research is guided by market and industry. Our innovation research occurs at the intersection of technology and market. Only with the help of market information and customer feedback, we can develop and transfer our research findings into practical technology. Knowing our lacking in certain areas, we cooperate with customers, universities, suppliers, government and scientific communities, utilizing the power of collaboration to develop new solutions and upgrade product lines. The cooperation between Macroocean and universities includes not only the research projects and sharing experimental platforms, but also the training of talents.